Paola Delgado was working on Wall Street when she realized she wanted to do something more fulfilling. So she moved back to Peru, her home country, to search for inspiration. While traveling, she met a group of artisans making beautiful jewelry using Amazonian seeds, she knew she had found her calling. 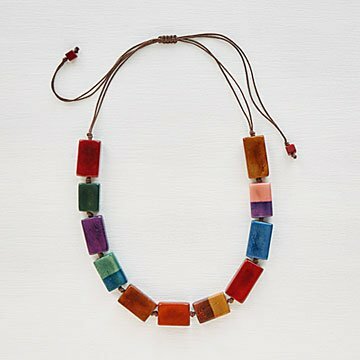 Today, Paola runs a small jewelry-making business using tagua nuts, a humane alternative to ivory. Since her team harvests the nuts after they’ve fallen, no damage is done to the rainforest or animals.